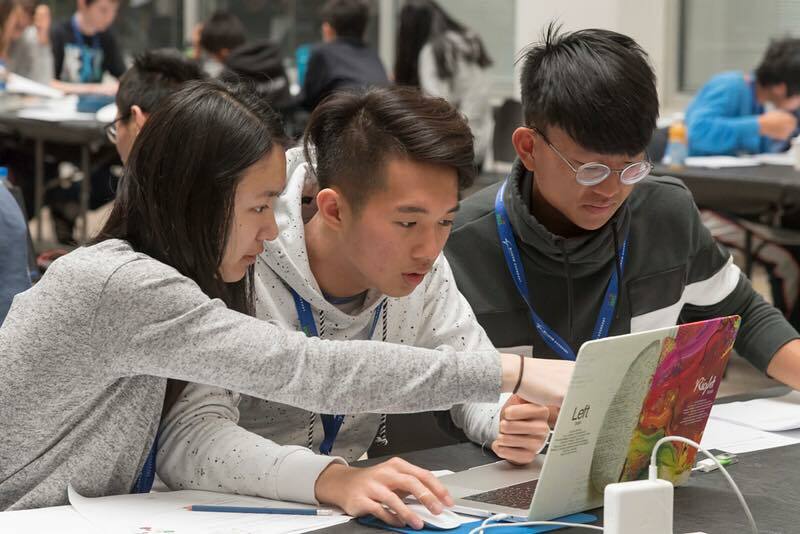 Hosted by global security and aerospace company Lockheed Martin , the exciting but stressful programming competition Code Quest took place in Sunnyvale, CA on April 21. Split by the teams’ coding experience, teams of three were given one computer and twenty coding quests to complete in two hours. Snack Overflow (Daniel Xiong, Daniel Guo, Bryan Jang), Hackermans (Yorick Chern, Peter Li, Qing Huang), and Juice (Pramith Reddy, Rohith Kasar, Bilal Syed) were novice teams while Finesse (Cindy Zhang, Zhiwei Zhang, Tyler Zhu) was an advanced group in the competition. The difficulty slowly increased as teams moved further down the list of quests, but teams were allowed to submit their codes in any order. To prepare, students met before the competition and attempted to code quests that were given to last years’ participants. Though the teams were even allowed to bring outside references with them to the competition, participants found it difficult to fully develop their own codes since they were restricted to one computer for three people in such little time. While there were no IHS students who placed at the competition, the programming students were inspired by the hardworking community and glad that they entered the free competition. This ultimately created a healthy-competition atmosphere as students programmed creative tasks that were a good change from typical tasks exercised at school.